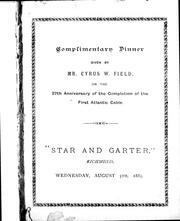 2 editions of Complimentary dinner given on the 27th anniversary of the co... found in the catalog. Add another edition? 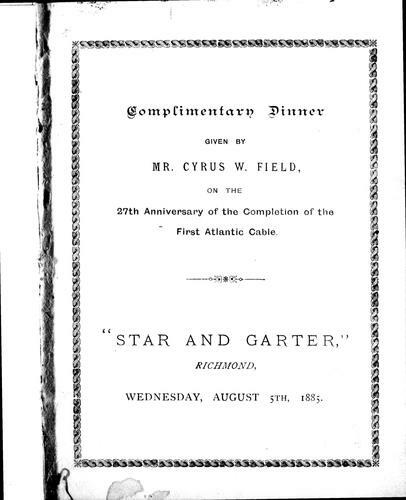 Are you sure you want to remove Complimentary dinner given on the 27th anniversary of the completion of the first Atlantc cable, "Star and Garter," Richmond, Wednesday, August 5th, 1885 from your list? Published 1885 by s.n. in [S.l .